He’s a duopoly power anomaly, a billionaire, demagogic business as usual aspirant, coming across to supporters as populist. Yet nothing in his campaign suggests it, other than his anti-establishment rhetoric. A previous article said he appeals to voters against bipartisan politics they deplore, business as usual campaigning and governance, promising change, delivering betrayal, ignoring popular needs in office. He seems impregnable despite expressing outlandish views, including wanting a wall built on America’s southern border, calling Mexicans “rapists,” wanting Muslims banned from entering the country, saying he’ll close mosques, and surviving a flap with Pope Francis unscathed. He’s the only presidential aspirant able to win support with inflammatory rhetoric on hot button issues, saying what other candidates won’t dare. Nothing in his background or business record suggests he’ll govern differently from other candidates as president. People needs aren’t his concern. Social justice is off-the-table. Endless wars and corporate favoritism will continue on his watch. If Republican party bosses undermine his campaign, he doesn’t rule out running as an independent. His support is ideologically deep and intense. Campaigning against the grain works for him, saying things voters don’t hear from other candidates. Bashing works to his advantage – from rival aspirants and media scoundrels supporting them. Party bosses are desperate, searching for a way to stop him, blasting what they call his divisive brand of politics. A New York Times feature story cited Republican strategist Karl Rove, warning his “nomination would be catastrophic, dooming the party in November,” at the same time saying it’s not too late to stop him. The Times indicated Republican Senate majority leader Mitch McConnell has a plan to have party members break with him in November’s election. Other Republicans call for uniting behind a single Trump opponent in a last-ditch effort to stop him. Everything tried so far “sputtered and stalled at every turn,” said The Times. 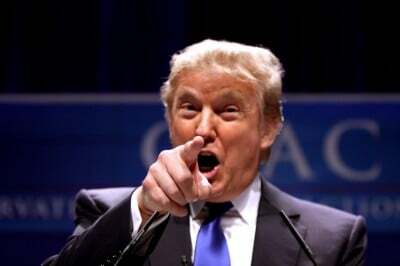 Despite dark party forces lined up against him, he gained strength heading into Super Tuesday on March 1 with smashing New Hampshire, South Carolina and Nevada triumphs – saying perhaps he could “run the table” in upcoming primaries, outspoken to a fault as always. Modesty and restraint aren’t his attributes. Media scoundrels relentlessly attack him, trying to dent his impregnability. Nothing in prospect seems able to derail his seemingly unstoppable road to his party’s nomination. At the same time, anti-Trump resistance runs deep. Party bosses call his candidacy unacceptable – except to millions of voters supporting him, way more than any of his rivals.